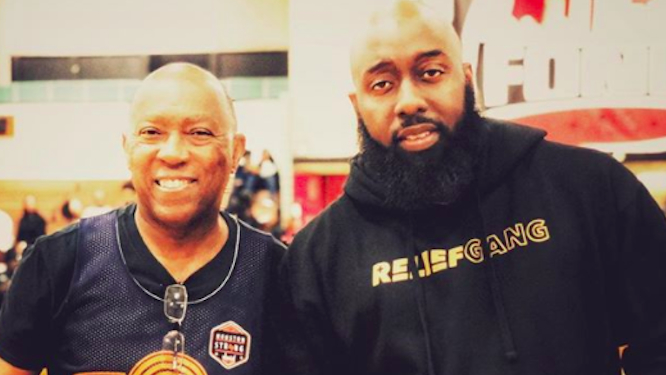 Trae Tha Truth has always been one to put on for his city, proudly representing for Houston, Texas, both in his music and in everything he does. While it was announced earlier this year that he would be awarded the key to the city during his annual Trae Day event back in July, mother nature had different plans. As a result of the onslaught of Hurricane Harvey, the ceremony was pushed back until yesterday (Dec. 15). Taking to Instagram, the Hustle Gang rapper posted a series of photos commemorating the prestigious honor and sharing the experience with his fans. "On TraeDay I Was Declared The First Rapper To Recieve The Key To Tha City... But Because Of Hurricane Harvey , My Ceremony Was Delayed," he wrote, captioning a video showing off his new award. "Well Today The Mayor And City Officials Presented Me THE Official KEY TO THA CITY!!!! Blessed!! #KingTruth @reliefgang Humbled!! HoUSton This One For You!!!! Throw Them UP!!!!" Trae Tha Truth has played an integral role in helping the community rebuild after the devastation following the hurricane, with the rapper even helping rescue people from a boat. As exemplified by his recent Instagram posts, his work rebuilding the city and giving back to his community is far from over. Many congrats to Trae Tha Truth!